Want to learn more about gas oil? Read our short guide from one of Britain's biggest gas oil suppliers. Home → What is Gas Oil? Gas oil is a commercial fuel used as an alternative to road diesel. It has a lower tax duty and thus comes coloured red (leading to the name, red diesel) to help identify it’s usage by Customs & Excise (HMRC). If a vehicle is suspected of using gas oil illegally, such as in vehicles used on public roads. The red dye will stain the fuel tank giving away its prior use within the vehicle. As well as gas oil being known as red diesel, others may also know it as 35-second oil, tractor diesel, agricultural diesel which are the more common names it goes by. But gas oil and red diesel are the two most common names. 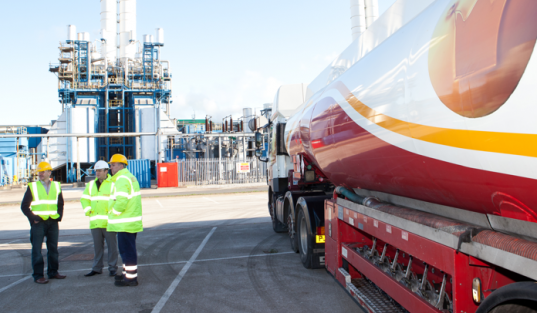 If you’re looking for a reliable supplier of gas oil (red diesel), give our friendly team a call today on 0845 313 0845.
Who can legally use Gas Oil? There are regulations surrounding who can both buy and use gas oil in the UK. In general terms, it’s used by commercial customers and some households to heat up their businesses and homes. However, another more suitable option is to use heating oil for homes and industrial heating oil for businesses. The other main uses are as a replacement for road diesel in non-road vehicles such as agricultural and construction vehicles. It is also used as the main source of fuel for diesel-powered machinery and equipment, such as generators. Of course, there are many other uses as a replacement to regular white diesel, so long as you adhere to current regulations on its legal usage. Which industries use Gas Oil? For construction machinery, it is available to operators of excavators, dumper trucks, generators and pumps. It is also commonly used in diesel generators, manufacturing equipment, by councils and for some oil-fired heating systems. In more recent years, it has been used within data centres and hospitals, as fuel for backup generators. Can you legally use Gas Oil in diesel-powered vehicles on the road? As already stated, there are some restrictions and guidelines surrounding its usage, for instance, it is NOT a substitute for road diesel. Using it in a diesel-powered vehicle on a public road is an offence. Although it is considerably cheaper than regular diesel due to the lower tax duty, the potential fines or prosecution incurred from using gas oil illegally could be much higher than any savings made. Ready to learn more about Gas Oil and request a quote? Hopefully, we’ve been able to answer many of your questions about gas oil (red diesel). But should you want to find out more, we have further information on our frequently asked red diesel questions and answers page. You can also view our full range of fuel and oil products if you have further requirements. If you have any further questions or would like to request a quote. Give our friendly team a call today on 0845 313 0845. Alternatively, fill in our quote form to request a quote.